THE average Australian may have a hard time imagining creepy crawlies as part of their daily diet. But according to star chef Luke Nguyen — the era of insects as food is set to become the next serious dining boom. 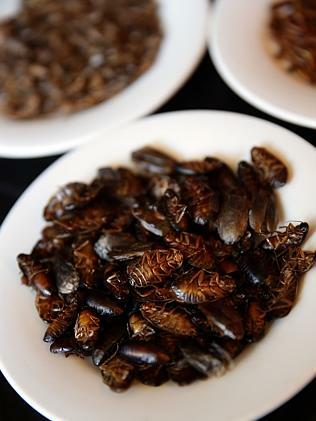 Two-billion people worldwide already eat 1900 protein-rich insect species as part of their diet according to research by the United Nations Food and Agriculture Organisation, and Sydneysiders are about to add to that number. Forget pulled pork burgers, fried chicken and quinoa. Nguyen says insects like cockroaches, crickets, scorpions and spiders are the new direction of modern cuisine.